This week in First Grade we’re studying nutrition. When I set out to build this unit I scoured the internet for ideas, and holy schmooley!!!!! There are a TON of fantastic resources for teaching nutrition on the WWW! Unfortunately, my little nutrition unit is seriously smothered by time, so I had to compile a little bit of all of the resources I found into a small (okay, 18 page) book instead of using any online units. Hope it will help you! And now for my own investigation of the little science called nutrition, I am going to explore the yummy looking cupcake on my desk...!!! I would love to see your nutrition unit, but when I click on the link it says the document is not available. Goodness gracious, me! I am so terribly sorry that the link didn't work! I tried creating a new link. If that doesn't work, just shoot me an email and I'll send you a copy of the book using good old fashioned email! Sorry again! Have a GREAT night! Your boook is super cute! I can't wait to use it in March :) Thanks! This is so awesome! Thanks so much for sharing...I love it! Just found your blog through Pinterest and became a follower! LOVE this nutrition book. I am sad I just finished up my nutrition unit unit last week!! Next year..
Love the nutrition book! I'm your newest follower! So excited to print and use this next week as we lead into wellness day in our school on 4/27! Thanks so much for sharing this! 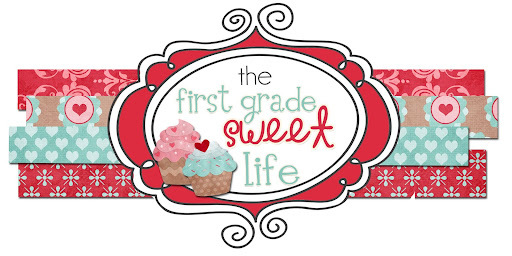 It's exactly what I was looking for when I googled "First Grade Nutrition Unit". Nutrition (also called nourishment or aliment) is the provision, to cells and organisms, of the materials necessary (in the form of food) to support life. Many common health problems can be prevented or alleviated with a healthy diet. Thanks for the great nutrition unit. It is just what I was looking for to start my studies on healthy eating! Hi, I saw this on Pinterest and would love to use it for my nutrition week. The link seems to not work so I was wondering if you could email it to me? If so, my email is shell10_s@hotmail.com. Thanks so much! I also couldn't open it and would love to see it. Could you send it my way too please? tulip9180@yahoo.com. Thanks! I would love to use your book, but I also could not open it. Could you send me a copy too? smcuriel@yahoo.com. Thanks!! Would you please send me a link to your mini nutrition book? I also could not open it. Thank you. I, too, cannot seem to open your nutrition book. Could you please send it to me? I teach 1st grade in SC. I am working on a nutrition unit as part of my pre-practicum and would love to see a copy of your book. Can you please email me the link? Hi am working on nutrition the now in class and would love to see a copy of your book/ Can you please send me a link? I would also love your nutrition/food group booklet but am having trouble opening it as well. Would you mind sending it to me via email? Thanks so much! Hi, could you please send the book to me as well. Thank you! Can you please send me a copy at blaxosxr@gmail.com ? I think the book has great content but it disappoints me that there isn't proper sentence structure or capitalization. Drives me crazy when my first graders don't capitalize the word "I", let alone a teacher resource! I actually agree completely It's Just Me. Valuable feedback and an oversight on my part. Thanks for the constructive criticism!! thanks for your recipes! you do very hard work! http://puressay.com/blog/essay-on-nutrition submits an essay about nutrition! Here is another educational post about nutrition. It's more than simply necessary to follow all those strict directions to be strong and healthy for the rest of your life! Oh! Thank you so much for this little book! 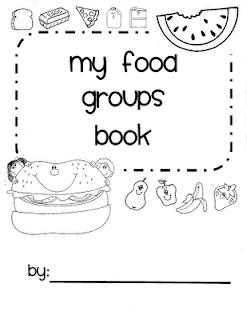 I am getting together a tiny nutrition course together for my Homeschool Preschool/Kindergarten boys and this is just perfect for them! I especially love that it's in black and white so my non-color printer will do a fine job at printing and my kids can just color their hearts out! So far, for our little nutrition week we've read through "Why Do We Eat" Usborne book (I don't have the collection of Usborne, just this one I found at a consignment sale for $0.75! ), and I'm going to let my kids make grocery lists and go shopping with some of their own money (that's what I call a win/win!) Thanks again! Is there a completed book with answers filled in? I have some possible answers to the fill in the blank, but not sure if its how I want to word it to my students. I do not have a completed book with answers. Sorry! If you have any questions about specific blanks, send them to me and I'd be happy to answer them! I am a former Kindergarten/First Grade teacher saved by Jesus. Although I'm out of the classroom and into a life of volunteering, I still enjoy the more-than-occasional foray into the world of education for my kid-fix.